As it does with every new iOS release, Apple on Tuesday stopped signing legacy iOS 12.1.2 code in a bid to ensure iPhone, iPad and iPod touch owners are running the latest version of the operating system. The change comes two weeks to the day after Apple issued iOS 12.1.3, an update containing a handful of bug fixes and performance improvements. With Apple no longer signing code for iOS 12.1.2, users are limited to downloading iOS 12.1.3 and above from the company's servers. Apple's latest iOS update addressed minor issues including a Messages bug that prevented users from scrolling through Photos in a thread's Details view. The release also fixed a problem with iPad Pro audio input and a flaw that caused certain CarPlay systems to disconnect from iPhone XR and XS. In addition, Apple's latest point update fixed two HomePod issues that could trigger an unexpected device restart or cause Siri to stop listening, according to release notes. Apple regularly ceases code signing to prevent users from installing old iOS versions following the release of a new OS. Doing so helps keep users safe from new threats and ensures devices are running the most up-to-date software. 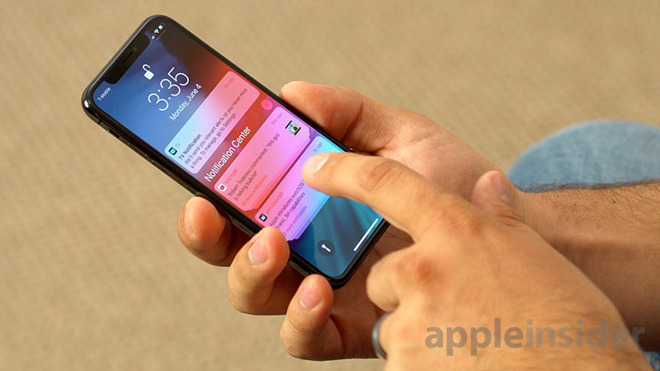 The decision to stop signing older code arrives hours after Apple pushed out a second beta version of iOS 12.2 to developers for evaluation. When it sees release, iOS 12.2 will deliver a host of new features including four new Animoji characters, Control Center and lock screen tweaks, expansions to Apple News, AirPlay 2 and HomeKit support for TVs, and more. If you belong to the “It’s my computer/phone/watch and I will damn well do what I want with it” crowd then that’s fine and dandy. Sell your Apple gear and buy something else. Otherwise live with it. iOS 12.1.3 is much slower than iOS 12.1.2 and the app multi-tasking seems to be no longer available to older iPhones like iPhone 6 Plus. Every app in the background seemingly needs to reload and has reset before coming up. It takes a long time to switch from one app to another. Go Settings > General on an iPhone 6 Plus, you won’t see the app multi-tasking button as appearing on an iPad 2017. Sorry to hijack the thread but I want to ask the trusted forumn users about my dilemma. I’m leaving soon on a trip and my old AKG noise cancellation headphones are in shambles. Broken and detached ear padding, carrining case falling apart. I need to purchase a new replacement. Just wondering what you guys are recommending and specifically how to deal with in-flight entertainment if I go for blue tooth no cable. Call me old fashion but you cannot go wrong with Bose. QuietComfort 35 wireless headphones II. Although not noise canceling AirPods can get the job done. What's wrong with having an Apple device and still believing that they shouldn't lock them down?